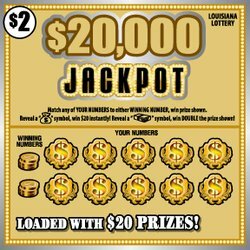 Yakaisha Braziel is going to purchase "all of the needs that she prayed for" after winning the top-prize on $2 scratch-off, $20,000 Jackpot! The Hammond resident was at her local store, Miller's Mart, when she said that God told her to purchase four tickets. "The first ticket was the winner," she explained. 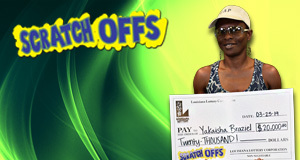 Before spending the rest, Yakaisha plans to give a portion to her church. Congratulations!